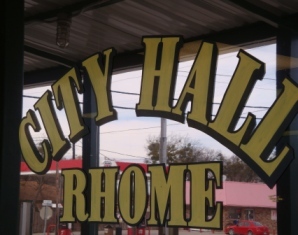 Established in the 1850s Rhome, Texas, is small town rich with history and conveniently located at the crossroads of the Dallas - Fort Worth Metroplex at the intersection of US Hwy 81/287 and State Hwy 114. Rhome's approximately 1500 residents enjoy all the benefits of small town living combined with the convenience of being near major retailers, hospitals and restaurants. Rhome is part of the Northwest Independent School District, one of the most highly rated school districts in Texas. Despite being a small town housing options are varied in Rhome. Ellis Homestead is located on the southwest edge of Rhome, just off of Highway 287, and offers large lots and spacious brick homes. Crown Point, located in the center of Rhome just east of Main Street, is a community of comfortable sized brick homes on regular sized city lots. ByWell Estates, located east of Rhome off State Highway 114, is a well maintained manufactured home community. Old Rhome has homes with a lot of history and character. Nearby entertainment options include the Texas Motor Speedway and the historical Fort Worth stockyards. Listing courtesy of Massey Krueger Real Estate Svs. Listing courtesy of Jennifer D Stevens. Listing courtesy of Texas Family Realty. Listing courtesy of 4NTEXAS.COM REALTY.